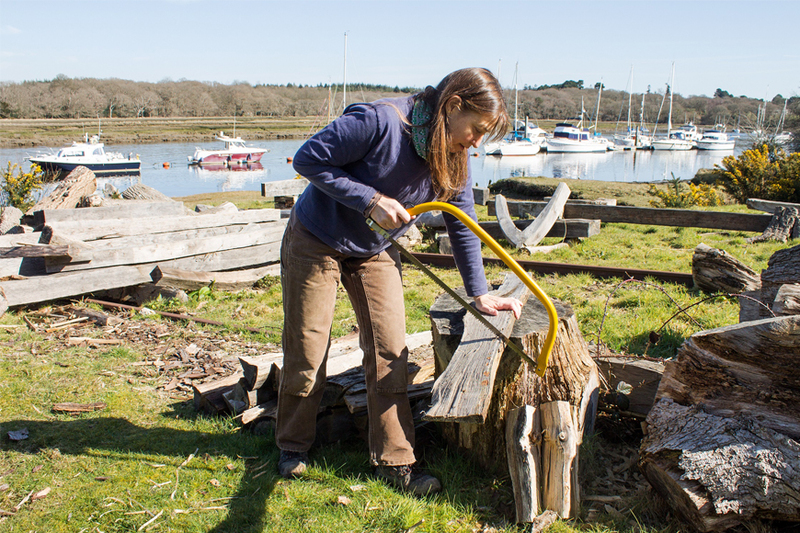 For the first time woodworking courses are being offered at the Shipwrights’ Workshop at Buckler’s Hard on the banks of the Beaulieu River with expert sawyer Barbara Czoch. 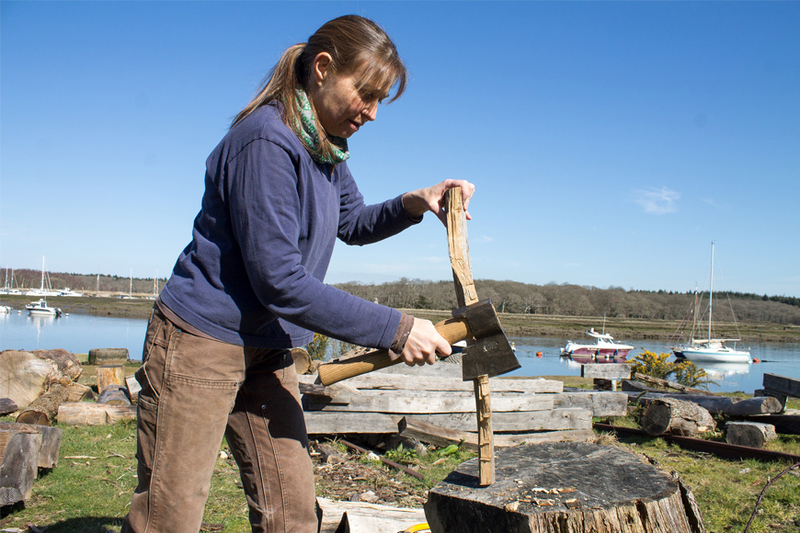 Introduction to green woodworking on Sunday July 15th will teach a variety of techniques including cross-cut sawing, cleaving, rough shaping with axes and finer tuning with drawknives on a shave horse. Learn to use specialist green woodwork tools and tools for drilling. This course for novices offers a good grounding in the basics of timber selection and green woodwork and costs £75. 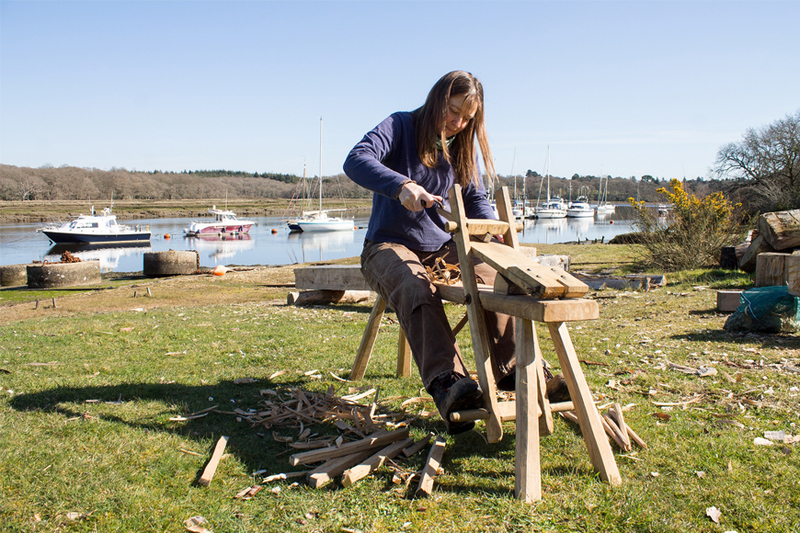 Make a three-legged milking stool on Saturday August 11th will give tuition in a variety of green woodwork tools and techniques, timber selection, cross-cut sawing, cleaving, rough shaping with axes and finer tuning with drawknives on a shave horse. The course for novices will also cover finishes, oiling and waxing to keep the milking stool in its best condition and costs £75. Make a slab wood bench on Sunday August 12th tackles a bigger project but also covers the basics of a variety of green woodwork tools and techniques, timber selection, cross-cut sawing, cleaving, rough shaping with axes and finer tuning with drawknives on a shave horse. It will also offer tuition in finishes, preservatives, oiling and waxing the bench you will take home with you. The course is for novices and improvers and costs £80. Make a shave horse on Saturday September 15th - Sunday 16th is for improvers with some woodworking experience, though beginners are also welcome. It will teach a variety of techniques including cross-cut sawing, cleaving, rough shaping with axes and finer tuning with drawknives on a shave horse and some joinery. It also covers finishes, preservatives, oiling and waxing to protect your new shave horse. A shave horse is one of the basic pieces of green woodworking equipment and a must for all budding crafts enthusiasts. The two-day course costs £175. To book or for more information click here. All of the courses include tuition, materials, drinks and cake! Please bring your own lunch or you can buy light refreshments at the Captain’s Cabin Tea Rooms at Buckler’s Hard. The Shipwrights’ Workshop is based in the Buckler’s Hard attraction, which was once a thriving shipbuilding village where ships for Nelson’s fleet for Trafalgar were built. Buckler’s Hard remains untouched by the passage of time, with original labourers’ and shipwrights’ cottages which show how the village would have looked in the early 1800s. The Maritime Museum tells the story of Buckler’s Hard’s unique history.